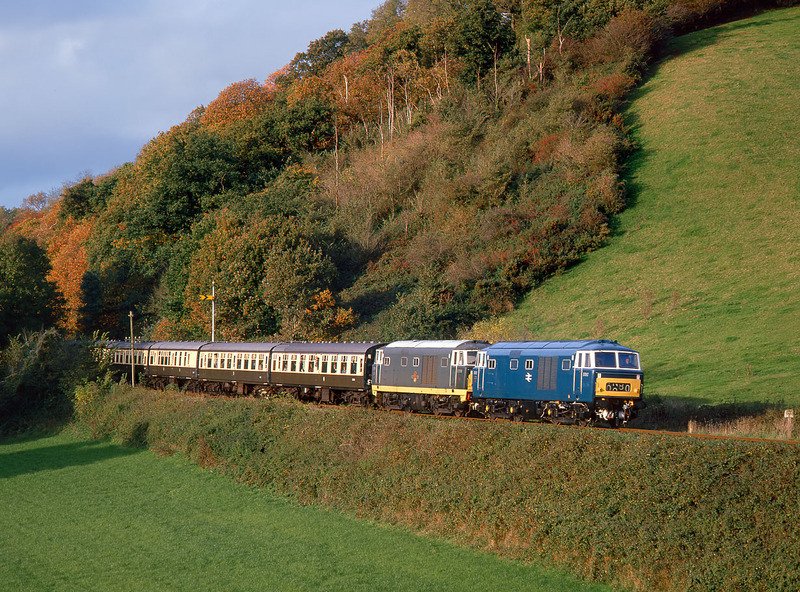 D7017 & D7018 pass Castle Hill on the West Somerset Railway with the 14:25 Minehead to Bishops Lydeard service during the line's Diesel Gala on 28 October 1994. The lead locomotives carries the experimental chromatic blue livery applied to a number of locomotives in the 1960s, before the slightly darker blue livery became standard. With small yellow warning panel and white window surrounds it certainly looks impressive, although the version carried by some locos without the white window surrounds looked very odd.